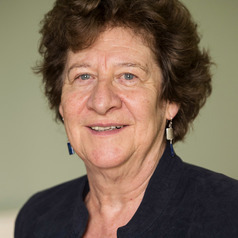 Moira Plant is Emeritus Professor of Alcohol Studies at the University of West of England in Bristol, UK and Adjunct Professor at Curtin University Perth Australia. Moira’s main interests include women, alcohol and mental health, drinking in pregnancy and Foetal Alcohol Spectrum Disorders. She has published on these and related subjects in peer-reviewed journals and books. Moira is the UK lead on the Gender Alcohol and Culture: An International Project (GENACIS) which includes over 40 countries worldwide. She has acted as a consultant to WHO, the UK and other governments, the Centre for Addiction Research & Education Scotland (CARES) and is a UK consultant to the US Collaborative Initiative on Fetal Alcohol Spectrum Disorders (CIFASD). Moira is a psychotherapist and trains and supervises counsellors.